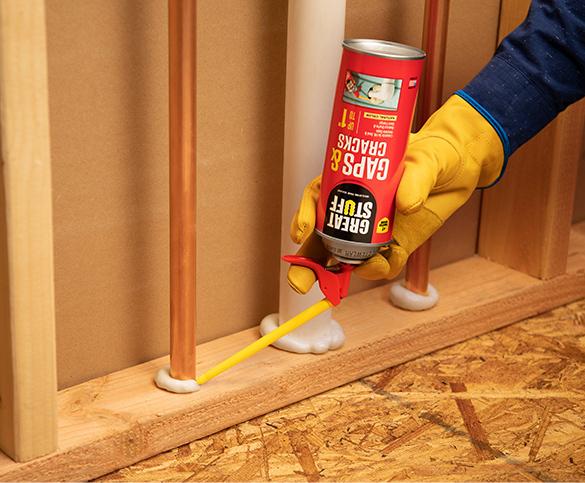 Holes made for threading wires through walls and studs leave lots of room for air to travel through a home. That much airflow does more than let temperature-controlled air sneak in and unwanted air leak out. If there’s ever a fire, these holes help fuel the spread of smoke and flames. 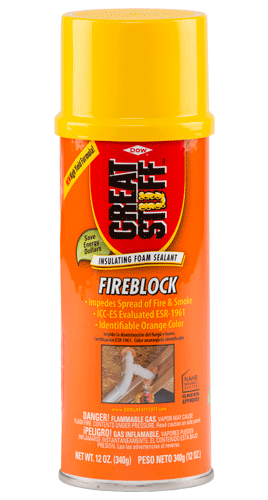 GREAT STUFF PRO™ Gaps & Cracks is fireblock rated and fills those gaps, helping to impede the spread of smoke and flames. 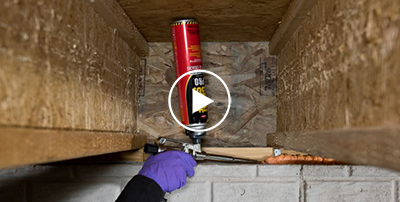 Helps impede the spread of fire and smoke through service penetrations. Seals service penetrations between floors, electrical runs through wall studs, pipe, cable and duct penetrations. Meets ASTM E84, ASTM E814 (modified) and UL 1715.